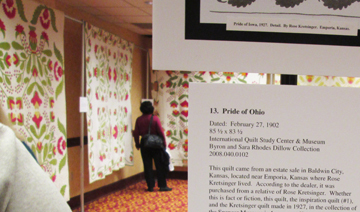 The American Quilt Study Group held its annual seminar in Lincoln, Nebraska over the weekend. I took 101 pictures so I will have a few posts over the next few weeks. This year's was the best attended ever---I think we have been meeting since 1981. 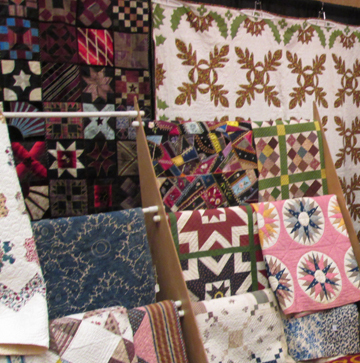 There were several shows of antique quilts to see. One was Connie Nordstrom's Pot of Flowers exhibit. 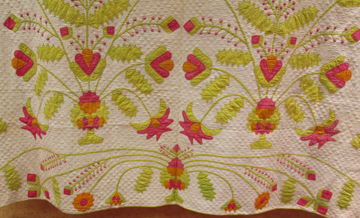 Connie has been collecting information about a special applique pattern. They are usually set as a four-block and have many berries and sometimes birds. 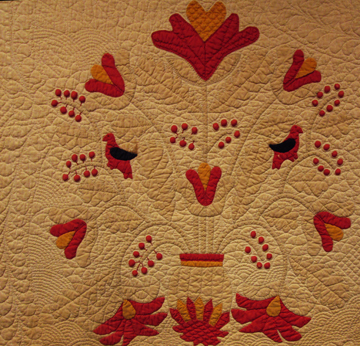 She says she's found over fifty examples of this quilt design. It was a great exhibit with informative labels. She's found two from about 1900 in northeastern Kansas. Rose Kretsinger about 1930. Rose's inspiration? This quilt wasn't in the exhibit but a photo was. 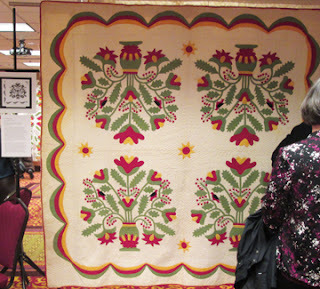 It was great to see her research and such amazing quilts. One of the other great shows is the Vendor's Sale where some of the best quilt dealers bring their stuff. I guess we are such a sophisticated audience it's worth it to them to bring their stock. 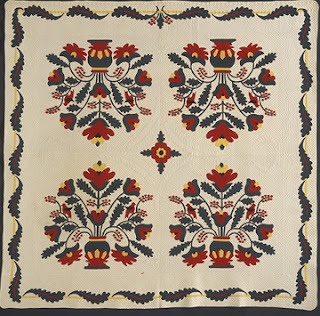 You don't often get to see quilts ranging from 1790 to 1950. I would love to attend that show, so many beautiful quilts and wonderful to have vendors there, as well. Wow! I am drooling on the screen. How beautiful. 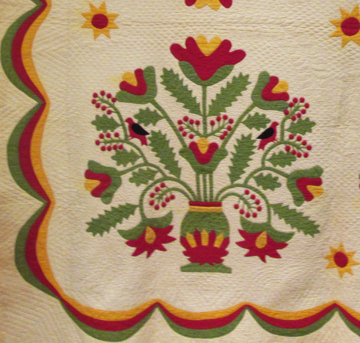 How little are those tiny berries that are appliqued? Glorious! Thank you for taking your camera along and sharing with us. 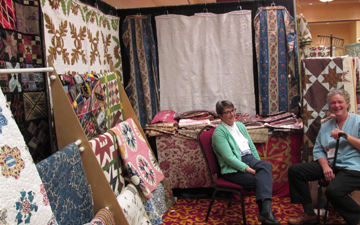 It was a wonderful seminar this year! 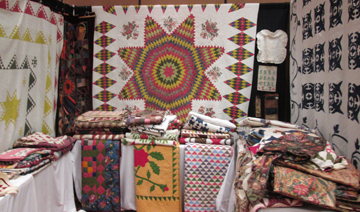 Loved your post, I did contact the Quilt complex and asked if they would be interested in selling The strip quilt. 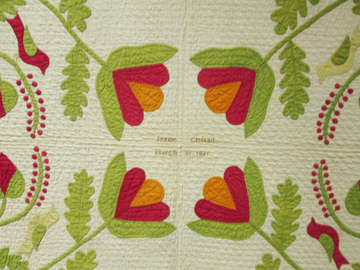 I usually don't buy antique quilts but it absolutely love that one. Thank you so much for sharing.